Head coach Steph Veal is looking forward to a second season with Red Panda Women’s Sevens after a positive maiden campaign. Her side won the Rugby4Heroes competition last summer and they also performed well in other tournaments, such as the Heart of Wales 7s, in a landmark first year. The team was formed by Veal after getting in touch with Red Panda Men’s coach Rob Jones, as well as manager Max Ashcroft, whose own side have been successful on the Elite Sevens circuit for a number of years. “We were really pleased with our last season went,” said Veal. “It was kind of an unknown thing. It was something that was put together very last minute! We had no idea who we were going to get. RP7s’ Men’s side usually consists of players who currently ply their trade in the National Leagues or at University level with both Jones and Ashcroft involved heavily at both levels of the game. For Veal, her approach to recruitment has continually progressed. The side currently have mix of local players from the North-West of England, Tyrells Premier 15s athletes as well as a sprinkling of internationals from across the home nations. She added: “I spoke to a handful of key members from last year and asked if they wanted to be involved again this year. That was a very instant ‘yes’! “It was about getting those players involved and then we sent them off to find more players who would be interested. “There is a contingency from Firwood Waterloo who are a Tyrrells Premier 15s team and there are a few from some other places like Loughborough. We have a couple from Sale FC’s 1861 side and there is the potential of a few others from clubs like Darlington Mowden Park. It’s positive. “Also, all of the internationals from last year have joined up again and hopefully we should be able to pick up one or two others. 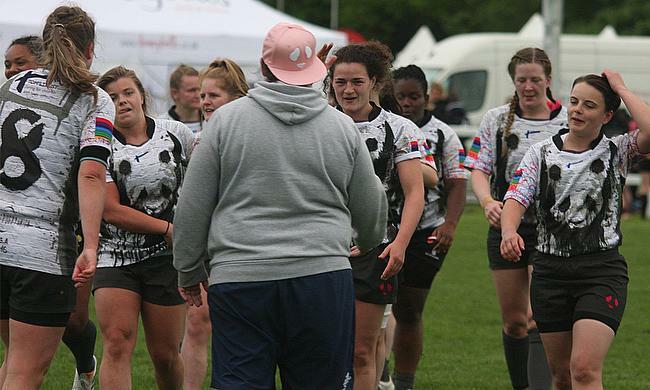 With a strong group of international players pencilled in to represent RP7s Women’s for the 2019 season, it came as no surprise to hear Veal express her appreciation following the news regarding full-time contracts within the women’s game in England. by the RFU with an additional seven players handed elite player squad agreements. At the start of January, 28 women's players were awarded full-time contracts by the RFU with an additional seven players handed elite player squad agreements. The positivity and expectation surrounding the England Women’s side heading into the Six Nations, which begins this weekend, has heighten following the announcement and Veal hopes it can have an encouraging impact across the Women’s game. “If we are wanting this sport to grow where it could go to, then players are going to have to be given the time to improve their skills to become the best they can be,” said Veal. “That’s where those contracts come in and hopefully, it’s not just case that England are just going to do full-time contracts. Hopefully there is a point where Ireland have got full-time contracts and the same from Scotland and Wales. It just generates a lot more competition between how home nations which can only be positive.